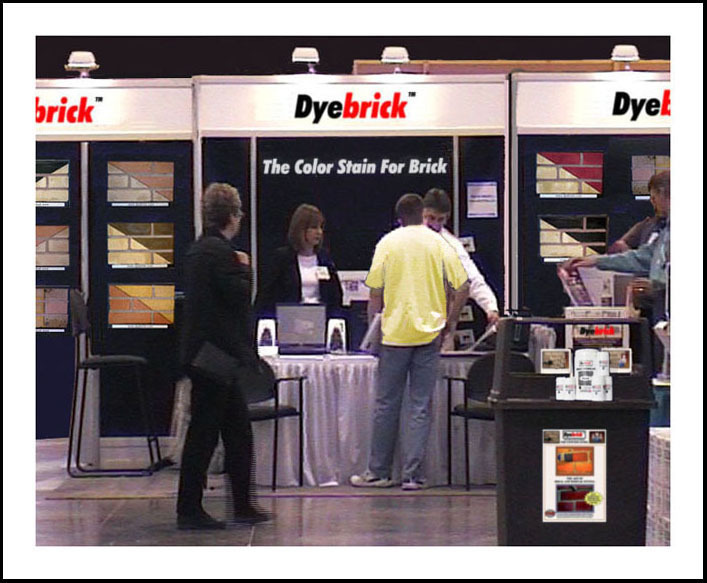 Dyebrick Commercial Team promoting Stainbrick (our commercial products) at the ‘World of Concrete’ exhibition in Las Vegas! 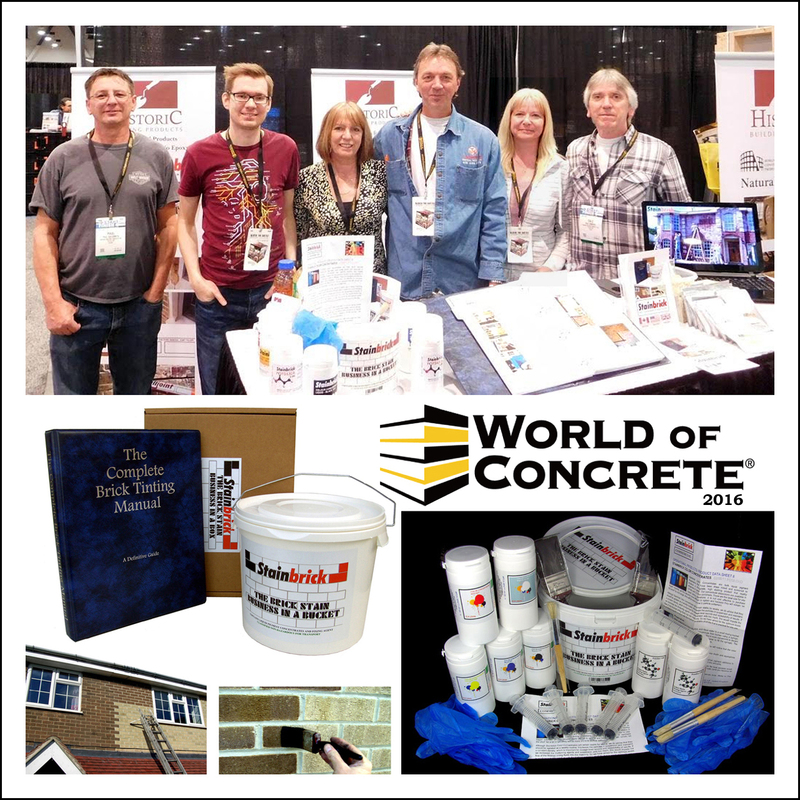 We were sharing the Booth with Historic Building Products of Toronto and Roman Construction Products from the UK. 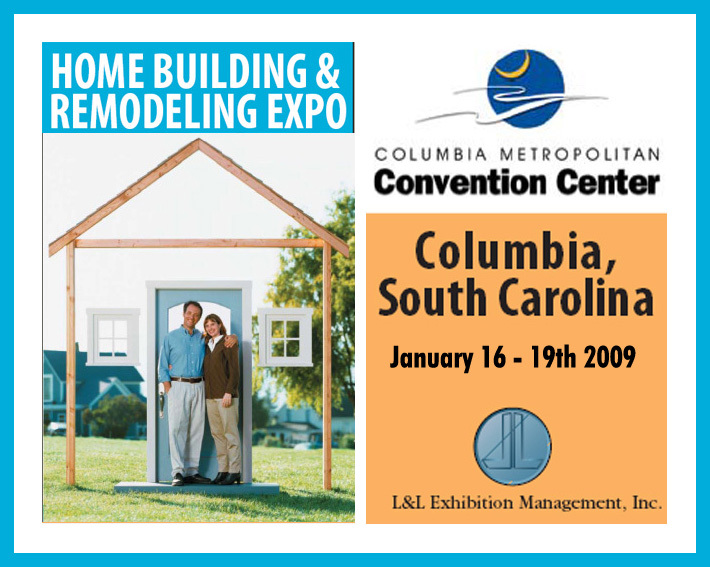 Keep watching our Blog for news on our World Tours, Exhibitions and Trade Shows! 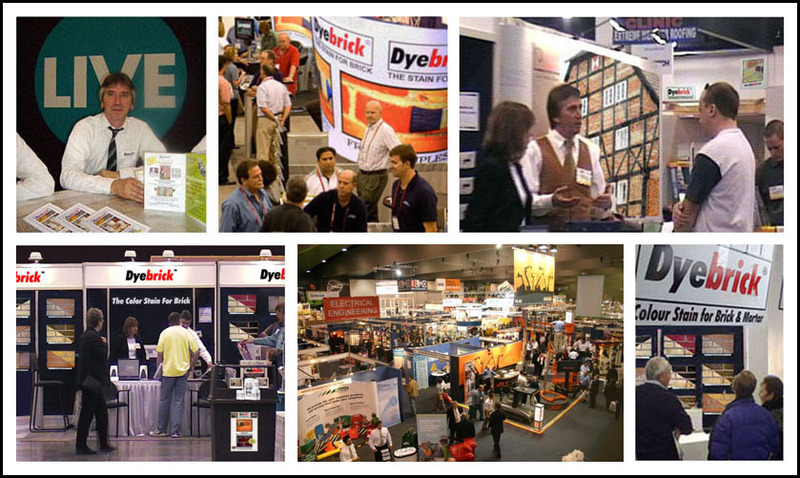 The Dyebrick Team at the 2007 Grand Designs Live! 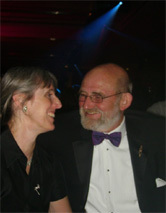 Diana Hooper (Marketing) with her husband Alan. 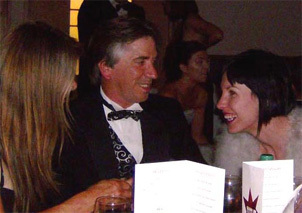 Georgina, a future(?) 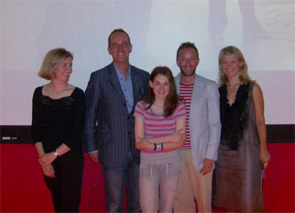 member of the Dyebrick team, (Diana’s daughter) with presenters: Deborah Saunt, Kevin McCloud, Tom Dyckhoff and Naomi Cleaver. 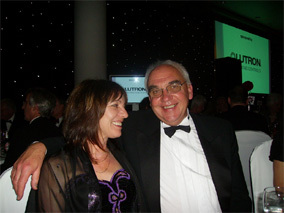 John is our Architectural Consultant for Ancient Buildings. 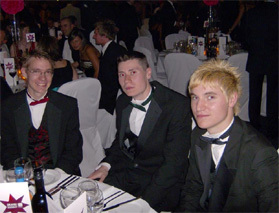 Dale and John in good spirits!